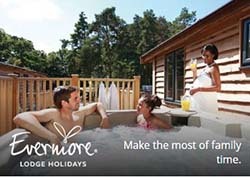 2.1 - www.justlodgeholidays.com (JLH) is a site operated by Bruton Solutions Limited registered in England and Wales under company number 5595562 of registered office at 22 Wycombe End, Beaconsfield, Buckinghamshire, HP9 1NB. 3.1 - Access to the Site is permitted on a temporary basis, and JLH reserve the right to withdraw or amend the service provided on the Site without notice. JLH will not be liable if for any reason the Site is unavailable at any time or for any period. 3.2 - From time to time, JLH may restrict access to some parts of the Site, or the entire Site, to users who have registered with JLH. 3.3 - If you choose, or are provided with, a user identification code, password or any other piece of information as part of the Sites security procedures, you must treat such information as confidential, and you must not disclose it to any third party. JLH has the right to disable any user identification code or password, whether chosen or allocated to you, at any time, if in you have failed to comply with any of the provisions of the Terms. 3.4 - You are responsible for making all arrangements necessary for you to have access to our site. You are also responsible for ensuring that all persons who access the Site through your internet connection are aware of these terms, and that they comply with them. 4.1 - JLH are the owner or the licensee of all intellectual property rights in our site, and in the material published on it. Those works are protected by copyright laws and treaties around the world. All such rights are reserved. 4.2 - You may print off one copy, and may download extracts, of any page(s) from the Site for your personal reference. 4.3 - You will not modify the paper or digital copies of any materials you have printed off or downloaded in any way, and you will not use any illustrations, photographs, video or audio sequences or any graphics separately from any accompanying text. 4.4 - You will at all times acknowledge JLH or any identified contributors as the authors of material on the Site. 4.5 - You will not use any part of the materials on the Site for commercial purposes without obtaining written permission form JLH or its licensors. 4.6 - If you print off, copy or download any part of the Site in breach of the Terms, your right to use the Site will cease immediately and you may be required to return or destroy any copies of the materials you have made. 5.1 - Commentary and other materials posted on the Site are not intended to amount to advice on which reliance should be placed. JLH therefore disclaim all liability and responsibility arising from any reliance placed on such materials by any visitor to the Site, or by anyone who may be informed of any of its contents. 5.2 - JLH does not act as a property sales or letting agency. All property information (“the Property Information”) is provided by subscribers to the Site (“the Property Owners”) at their own risk and discretion. 5.3 - JLH has no involvement or control over the content currency or accuracy of Property Information and you rely on such information at your own risk. For your own protection you should make enquiries of the relevant Property Owners to obtain further information or clarification of any statements or representations included in Property Information and make your own investigations into the authenticity of any information supplied in order to satisfy yourself. 6.1 - JLH does not guarantee the availability or functionality of the Site. If a fault occurs with the Site you should report it to info@brutonsolutions.co.uk and JLH will attempt to correct the fault as soon as it reasonably can. 6.2 - JLH makes no warranty that the functionality of the Website will be uninterrupted or error free, that defects will be corrected or that the Website or the server that makes it available are free of viruses or anything else, which may be harmful or destructive. 6.3 - JLH aim to update the Site regularly, and may change the content at any time. If the need arises, JLH may suspend access to the Site, or close it indefinitely. Any of the material on the Site may be out of date at any given time, and JLH are under no obligation to update such material. 7.1 - The Site is provided without any representation or endorsement made and without warranty of any kind whether express or implied, including but not limited to the implied warranties of satisfactory quality, fitness for a particular purpose, non-infringement, compatibility, security and accuracy. 7.2 - JLH will under no circumstances be held liable for damages to you nor any other person arising out of or in connection with the use of the Site including but not limited to: loss of revenue or anticipated profits; loss of data; loss of business; loss of opportunity; loss of goodwill; injury to reputation; losses suffered by third parties; and any indirect, consequential, special or exemplary damages. 8.1 - You will not misuse the Site by knowingly introducing viruses, trojans, worms, logic bombs or other malicious or technologically harmful material. You will not attempt to gain unauthorised access to the Site, the server on which the Site is stored or any server, computer or database connected to the Site. 8.2 - By breaching this provision, you would commit a criminal offence under the Computer Misuse Act 1990. JLH will at its complete discretion report any such breach to the relevant law enforcement authorities and will co-operate with those authorities by disclosing your identity to them. In the event of such a breach, your right to use the Site will cease immediately. 8.3 - JLH are not liable for any loss or damage caused by a distributed viruses or other technologically harmful material that may infect your computer equipment, computer programs, data or other proprietary material due to your use of the Site or your downloading of any material posted on it, or on any website linked to it. 9.1 - Any link to another websites is not an endorsement of such websites and you acknowledge and agree that we are not responsible for the content or availability of any such sites. JLH has no control over the contents of those sites or resources and accept no responsibility for them or for any loss or damage that may arise from your use of them. 10.1 - The English courts will have exclusive jurisdiction over any claim arising from, or related to, a visit to the Site. JLH retain the right to bring proceedings against you for breach of these conditions in your country of residence or any other relevant country. 10.2 - The Terms and any dispute or claim arising out of or in connection with them or their subject matter or formation (including non-contractual disputes or claims) shall be governed by and construed in accordance with the law of England and Wales. 11.1 - JLH does not guarantee the availability nor the functionality of the Site. 11.2 - JLH may revise the Terms at any time by amending this page. You are advised to check this page from time to time to take notice of any changes made, as they are binding on you. Some of the provisions contained in the Terms may also be superseded by provisions or notices published elsewhere on the Site. Thank you for visiting Just Lodge Holidays.